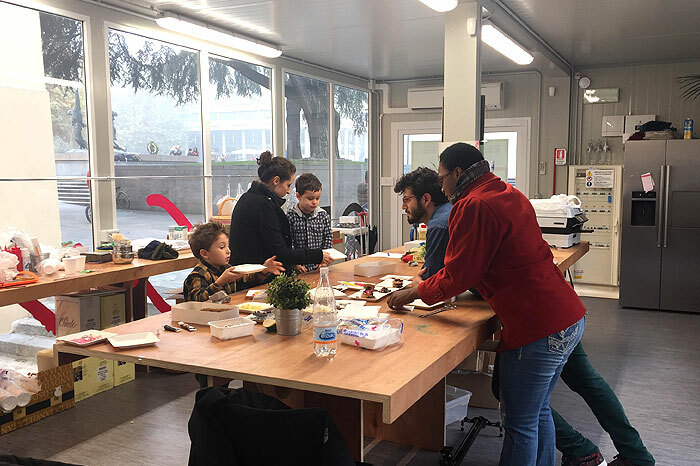 Kids and parents alike inundated the Officucina in Reggio Emilia this past Saturday to explore food alongside FIP fellows. 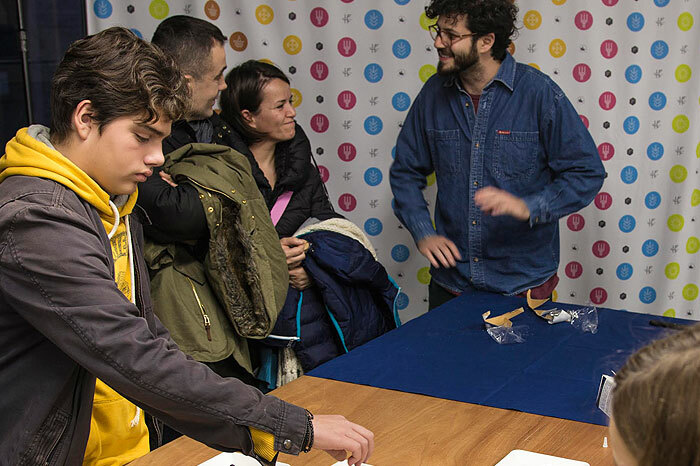 Chiara Cecchini, Alice Bennetts, Sebastian Melnitzky, Mercy Chatyoka and Riccardo Fantozzi organized a handful of various events to involve kids from the local area in the food world. 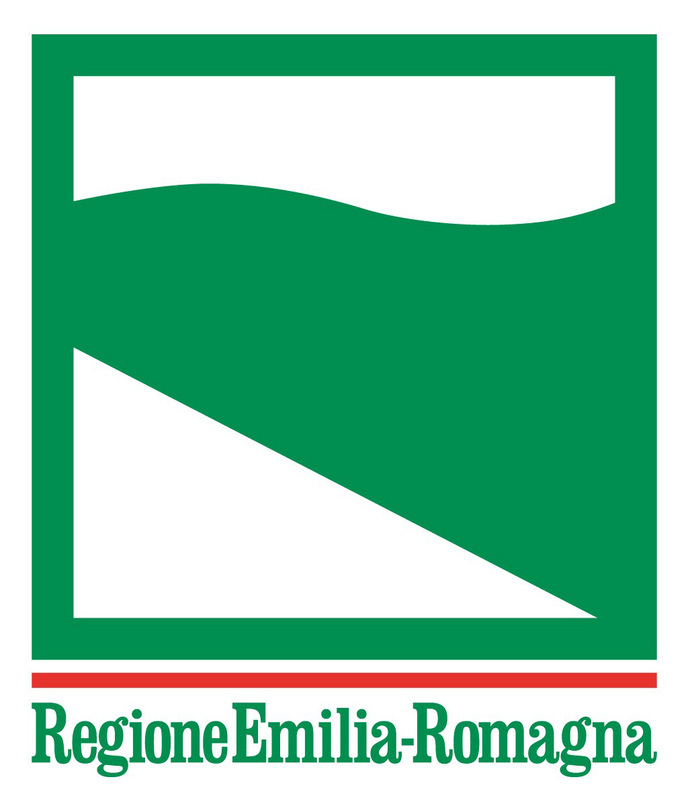 The FIP group, that is also working on the Barilla Kids project, reached out to FIP staff and the Musei Civici to attract kids from primary (6-10 year olds) and secondary (11-14 year olds) schools. The event was well attended by almost 20 kids along with their parents. Says Chiara, “We organized several activities. The workshop was aimed at primary school kids and the goal was to get them in touch with food, experience ingredients and feel empowered to play and create with food.” When the children first entered the Officucina building, they were able to explore the facility through the Cake Away project. Each kid had a chance to put together a variety of ingredients to compose their own unique and individual cake. After investigating and completing the Cake Away process, the cake was then bundled and packed for the children to take home and share with their families. 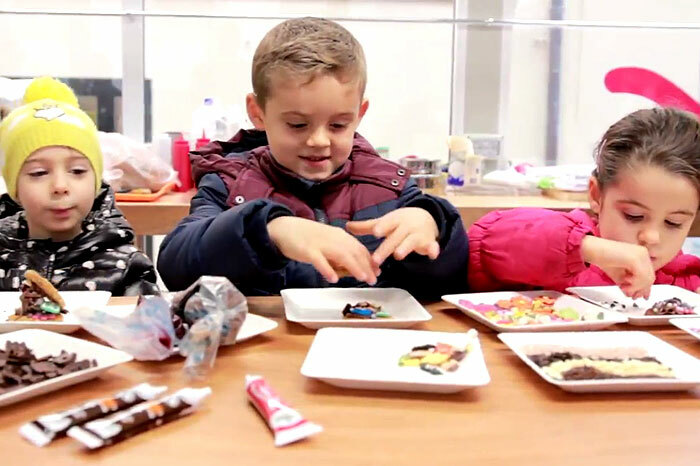 The idea was for the children to become familiar with various ingredients used in cooking and cake decorating, but also to have fun and be creative with food. 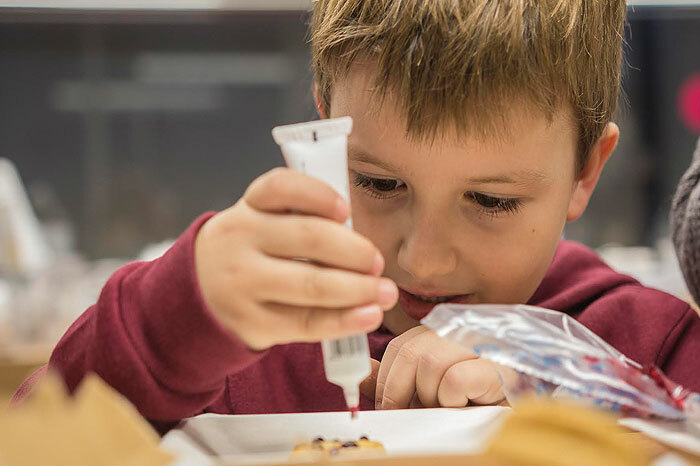 The activity made sure that the children experienced what it was like to be a “chef,” along with the responsibility and empowerment that cooking and creating can provide. The FIPers involved are all part of the Barilla Kids project team that is working on coming up with ways to innovate in children’s snack foods. On Friday November 20, 2015 FIP fellows and their project work groups will be presenting their final research and prototypes in a year end celebration. The four teams each tackled different challenges created for them by partners Barilla, Alce Nero, CAAB (FICO) and WikiExpo. It will be an exciting culmination of many months worth of research, design and creation, and provide an opportunity to showcase the hard work that has gone into the FIP year. We are looking forward to see what the day holds!